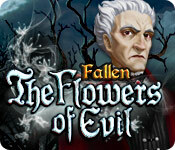 Fallen: The Flowers of Evil is rated 3.7 out of 5 by 90. Rated 5 out of 5 by charlene_lane from I LOVED IT - GREAT VAMPIRE GAME This game was great. Good adventure with plenty of HOS and mini-games to play. You have: * Casual, Advanced and Hard modes of play; * Voiceovers; and * Journal. I played on Hard mode throughout the game. Now, once you have started you cannot change your mode of play during the game, unless you start again. So, just make you are happy at the start with whatever mode you play. Okay, the graphics were a bit old hat but you could see everything very clearly and I had no trouble finding any of the clues of all the locations. Sound was actually very good, with background noises of rats screaming, the wind howling and eerie sounds everywhere. It really added to the ambience of the game. Any music I heard was played quietly in the background. There were plenty of HOS to play which were easy. These were quite cluttered scenes but I had no problem finding any of the items. Each one only took a couple of minutes at the most. The mini-games ranged from being very easy to downright hard. The hardest one was putting red and blue chips in the right order on a board. This one took me ages - well over an hour to achieve. LOVED IT. I don't often get mini-games that are challenging, so I relished these ones. We didn't have an interactive map with this game but you don't have to venture off too far and its easy to remember where to go. The game was very long - I think I played for at least 6 hours, maybe longer. However, on the Hard mode you cannot skip games, so you have to tough it out and play them all. Overall, a really enjoyable game - something you can sink your teeth into (no pun intended!). Definitely recommended. Please give it a try as I think you would enjoy it. The makers of this game have also done Calavera - Day of the Dead, Secrets of the Seas - Flying Dutchman and Ghost Town - The Cats of Ulthar, so I'm going to check these out now. Rated 5 out of 5 by crisgori from Loved the story I really love the plot and the chance to use my memory skills in this game, that's why I've rated it so highly. There are some cons, though: not interactive puzzles, sparkles for HOS even in the advanced mode and a bug, the drill, that has not been fixed. Rated 5 out of 5 by Amijane from What a bargain! I bought this at 2.99 daily sales and oh what a bargain! This Se game is great! If you are looking for a SE to spend your free Big fish game do it here! Vampires, great graphics and really nice voice overs! Good play time and you can skip the HOS to do a game instead if you're fed up with HOS! Once in a while you find these little SE gems out there and this is absolutly one of the best! 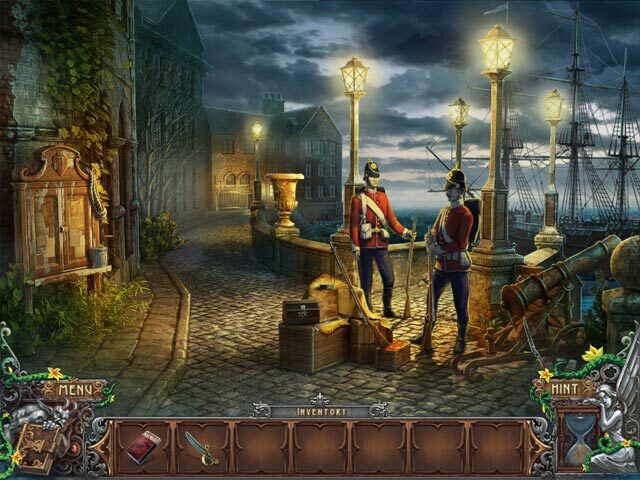 Rated 5 out of 5 by BlackWaterRules from Plenty to Do In This Dark and Eerie This is a dark, eerie, creepy hidden object adventure game. I loved it. The graphics are beautiful (sometimes disturbing because it includes bugs, rats, and bats, even in the hidden object games). The soundtrack is eerie and creepy, and also includes the squealing of bats and rats. The voiceovers are easily understandable, very well done. 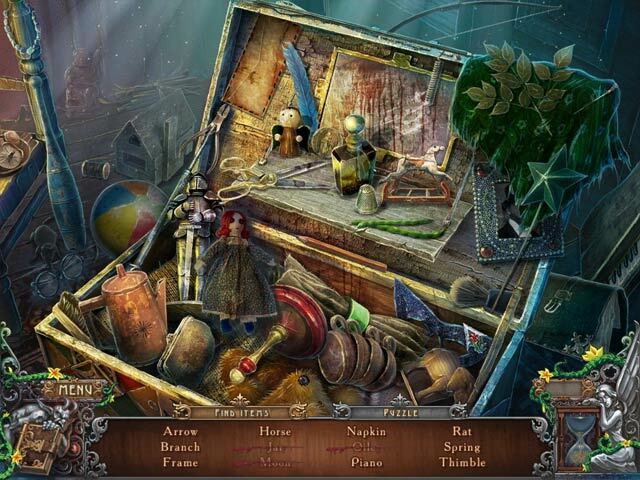 The hidden object games are a lot of fun, junkpile style, but pretty challenging. The mini games also are pretty challenging and a lot of fun. There is a lot to do in this game, picking up objects in one scene to use in another scene, trying to find who or what is responsible for the "plague" that seems to have befallen the town. This is not for the faint hearted. There is also one chilling scene of a fallen Bobbie beset by bats. Rated 5 out of 5 by roaming from A Great Fun Game! Okay, so some folks might complain because the voiceovers don't include moving mouths. The acting was more than adequate, and the script was appropriate to the situations. In spite of the "old-fashionedness" of this game, or perhaps because of it, I have had an absolutely wonderful time playing it!! You know, sometimes you want to read War and Peace, and sometimes you want the funny papers. Not that this game is exactly comparable to the funny papers, but you do revisit the HOS, and there are quite a few of them. Nor does it have the bells and whistles that some fishies seem to think they have to have in order for it to be a five-star game. The storyline is interesting and had me hooked from the beginning. The artwork is gorgeous and sets the ambience so well that I actually shivered in a few places. I don't play puzzles, so I can't comment on those, but the skip button charges reasonably quickly. Yea! The hints outside of the HOS are the directional arrow type, which I much prefer to the hints that tell you exactly what you need to do, or that tell you "nothing to do here." The journal notes actually were helpful for a change, so A+ for that. There is the problem of translation. As an American, I had no idea what was meant by "jerry can" or "secateurs," and in one instance "boots" turned out not to be boots. But oh, well! At least now I know what those things are. I bought it on today's DOTD, but I would've been just as happy if I'd paid full price. Rated 5 out of 5 by Plientje from Beautiful, relaxing and loads of fun! Just finished this game, played about 5 hours, nice length for a SE!! I absolutely loved the beautiful graphics. Nice story, you want to know what's going to happen next, it has a beautiful flow, both in storyline as in gameplay. Loved the hint button that showed you where to go next and what to do. No SG or walkthrough needed!! HOS and puzzles were very clear and lovely to play. I absolutely recommend this game!! Rated 5 out of 5 by Jem_Jerrica_Guy from More file size than a collector's edition Gamers will get their time for their money. Lots of backtracking; perhaps it's the developer's way of advertising their graphical abilities. Locations are more detailed than the characters. 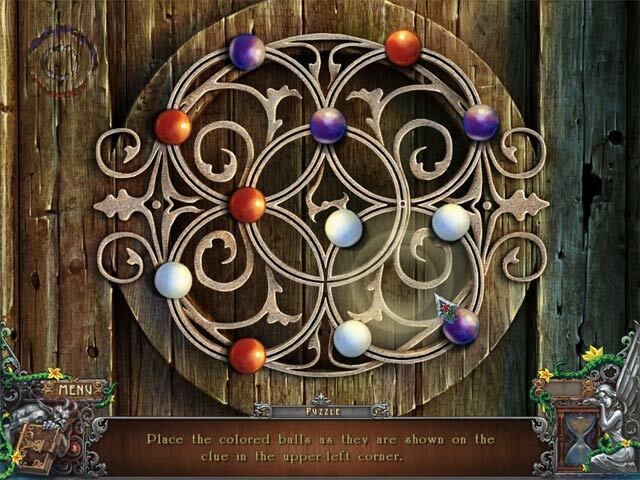 Challenging puzzles, one may even forget this is just a standard game. Rated 5 out of 5 by missgranny from WHAT A FIND I wasn't going to try this game but having read some of the reviews decided to give it a go. So pleased i did, a long game, easy HOS well set out .good graphics, nice music, the characters were a bit weird but didn't spoil the the enjoyment of the game. Tried it bought it, worth every penny. Congratulations to the developers and to BF who always come up with the best games. Rated 5 out of 5 by lskmiller from Really Fun Game! Great Traditional HO Game. Three difficulty Levels Cute Story Line LOTS of HOS Challenging Puzzles. Is it just a high fever or something much worse? One doctor's house call is about to become an investigation!